Many times we have to face a trouble due to lack of memory, such as where i left my cell phone or key of home etc. It is a very common disorder or medical condition in these days. Memory disorder or weak memory also called Amnesia or "Short Term Memory Loss". In this situation, people have forget the thing that who have kept in his hand, this is just an example of this type of condition.So conclusion is that, It is a very frustrating and demoralizing situation for its patient. In this condition the memory can be either fully or partially loss due to its damaging effects. Sleeplessness or lack of proper rest. Lack of protein and milk. Lack of Vitamins and nutrition's. Lack of Balancing and healthy diet. Head injury or another medical accidental conditions such as Alzheimer’s disease, Psychological trauma and amnesia. These are the common causes for the Amnesia or weak memory. Memory is an integral part of our life and life is incomplete without it. If your condition is very critical then consult with a doctor to diagnosis another you can try these natural remedies are given below. Almond is the best supplements to boost the brain power as well as strong your nervous system; it works for improve your memory and milk is the best as protein. Take 10 almonds and Put them in a glass of water in the evening. Peel off them in the next day early in the morning and make a paste by grinding them. Take 250 ml of milk and add this paste in milk. Then boil it for at-least 10 minutes. Also, you can add some of Ghee (butter) and sugar (to taste). When it becomes lukewarm, you can drink it. From this Treatment, you will permanently cure from weak memory, cerebrasthenia, short term memory loss (Amnesia) etc. Continuous use of this treatment at-least 40 to 50 days. This is very beneficial for students. You can use regularly this to improve your brain power and as energizer. Shankhapushpi is used as a brain tonic. It is one of the best natural herb that help in improving memory. It is a natural tonic for mental development and it has been used by Ayurveda from centuries to rejuvenating nervous functions. it is also beneficial to prevent from weak memory and memory loss. The whole plant of Shankha Pushpi are helpful to treat from mental disorder, you can use its root, flower, leaves and stem of this herbal plant. Brahmi is the best herb is works for purify the blood and helps to stimulate the blood flow in proper way. It is also works as brain tonic for nervous system. You can drink two teaspoons of juice extracted from brahmi leaves three times a day. or you can massage your forehead and scalp with brahmi oil on daily night. 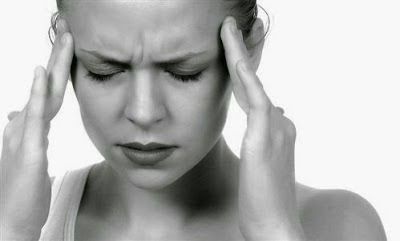 You will quickly recover from memory loss disease with this treatment. Cinnamon helps to rejuvenating nervous functions and enhanced the brain power . You can simply smelling the cinnamon to boost your memory and nervous function. or take a a pinch of cinnamon and mix it in one teaspoon of honey; use this method once in a day to treat memory disorders and mental problems. Fish is the best supplements for those who are non-veg. but if you are vegetarian then consume fish oil supplements to improve memory and reduce cognitive decline. Non-veg person consume fish rich in omega-3 fatty acid like salmon, sardines and mackerel. And Vegetarian use the fish oil supplement like Fenugreek Seeds. Meditation and Yoga are the best source to treat with all mental disorder like amnesia, memory loss and others. meditation helps to relaxation the body and maintain the blood flow in nervous system, and enhanced the brain power. try to perform yoga and simple meditation to stay relax and cool. Positive think is the best way to defeat any of the disease; try to solve some puzzle and other memory enhancer games. Try to think positive about everything in your daily life. That's why we're saying "Practice make a man perfect". Balancing diet and nutrition are play a major role to develop our brain, so try to eat organic foods and fruits. Avoid junk and fast food and harmful drinks. Finally, we hope that all these natural remedies and tips will helpful to cure from memory loss and mental disorders. Nisha sorry for delay in answer you, if you think the quantity of almonds is more than sufficient, you will minimize it. but the result of remedy is affected. Poor you.. Work on your obesity first.. Move your heavy buts daily and go for brisk walking and drink lot of water.. try to do Yoga.. Then move towards improving your memory disorder using almonds and milk. God bless. if we will not add butter then is it effective or not?? may i use amla liquid with lemon juice and water.. if amla powder didn't have.....???? Yes, you can. Either you should drink amla juice daily at morning is more beneficial to you. Yes, you can use pure water for this remedy. kindly suggest the best regular medicine for him . I will be very thankfull to you.